Remember HotorNot.com? Psh, you know you posted your photo "out of curiosity". 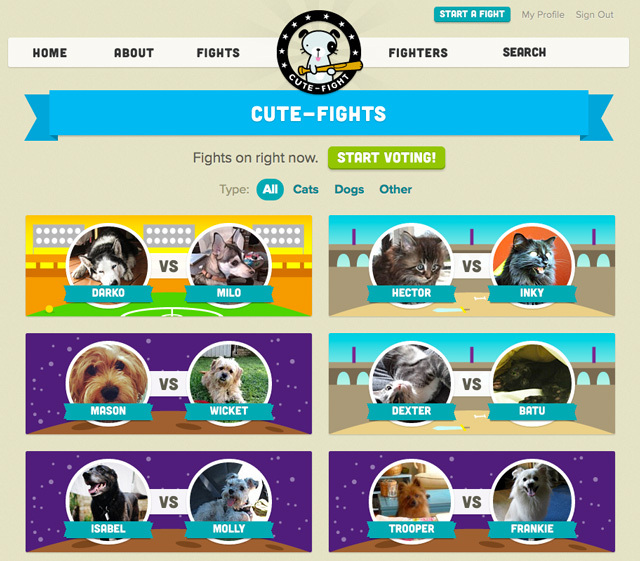 Well this website, called cute fight, is just like that, but far less narcissistic because it's for pets. Yep, it's the battle of cuteness, but the only real winner is you because it's hours of "awwww" inducing entertainment.